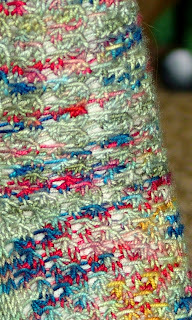 Presenting Fish Scales Socks available really soon at http://www.jimmybeanswool.com/Wahoo! We are finally off and running! 2 Askew Design's has sold 2 pattern's and I am rapidly printing more as I write. My spectacular partner in knitting/business, Allison, has just finished her 1st pattern for the company and that will be available real soon! I can't w ait it is such an amazing hat pattern; naturally I want to start knitting it right now. 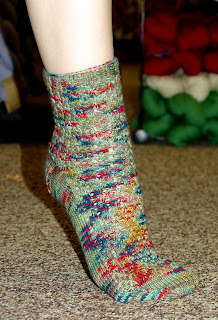 I didn't know that writing knitting patterns could be so arduous, and while it has been a lot of work; I am proud of the product and look forward to working on more ideas. The ideas are so many that at times I feel a bit paralyzed and not able to move forward. However, I will get there with such an awesome partner, and so much support from all of my family and friend's! I can't thank everyone enough. You are all so special to me!! Thanks, thanks, thanks!! 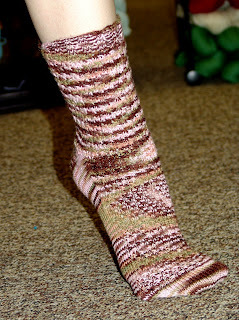 They really are beautiful socks! Great to hear about the patterns! The socks look fab! Also, I can't believe how "old" Chris looks. Yikes; they really do grow up, don't they?